Providing products, services and solutions that enhance customers’ energy efficiency, productivity and operations. Ingersoll Rand is a global business committed to a world of sustainable progress and enduring results. Ohio Tool Systems is a proud distribution partner of Ingersoll Rand branded tools, fluid management and material handling equipment. 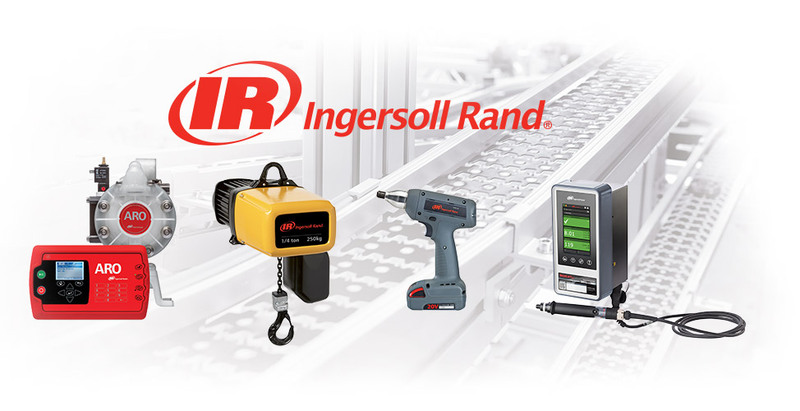 Customers will find more than a catalog of products; combining our application and product knowledge we help customers identify and integrate Ingersoll Rand solutions into their operations to maximize operational efficiency. Our history as a company is deeply connected to Ingersoll Rand. Our business was founded in 1974 by Ingersoll Rand national-level sales managers as one of the first independent Ingersoll Rand tool & hoist distributors in the country. Ohio Tool Systems is one of the original members of the Ingersoll Rand Specialty Distributors Association (IRSDA) in the U.S. and works with Ingersoll Rand as a key strategic partner in addressing customer needs and delivering customer success. Material handling equipment; ergonomic lift assists, handling devices & end effectors, arm systems & industrial manipulators, overhead rail systems, high capacity hoists and stainless steel hoists, man-rider and high capacity winches, high capacity bridge cranes.